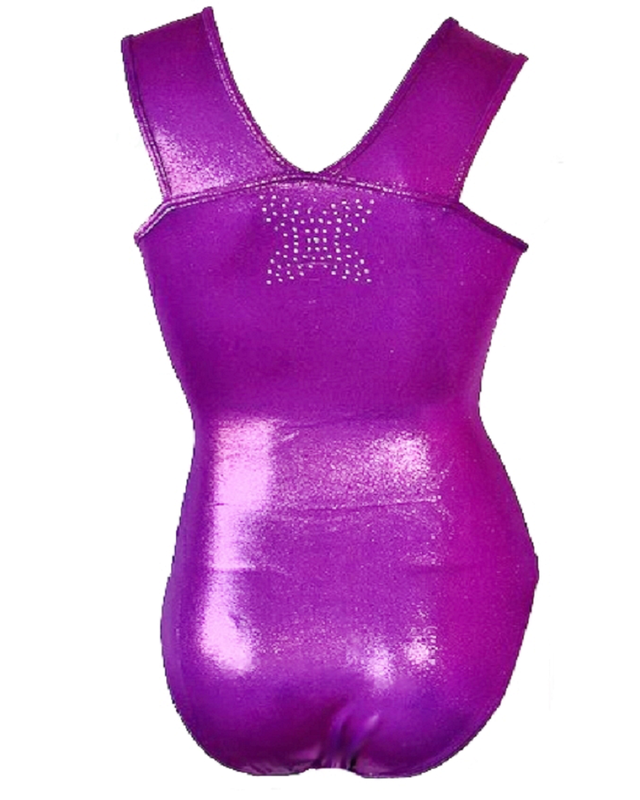 An elegant and sophisticated mystique Grape Fuchsia and White Lycra leotard. With an array of glittering diamantés to the main body and an intricate diamanté flower to the front. The look and glamour is completed with a matching diamanté flower to the back.